It is similar to the default window’s Add/remove programs, but it also scans for leftovers with even more advanced algorithms that are so precise, fast and very effective in search for leftovers of Windows Services, Drivers, File associations, Shell Extensions, COM components, Windows Installer components, program settings and more. This is the one of the main feature of Revo. It is used to monitor the installations so that we could see what all changes a software has made to our system, -including registry & drives. The good part is it is very simple and easy to use. For example, if you have anything to monitor, do a right click and select install with Revo. It would open a small rectangular window on the top of your screen showing that it is monitoring. 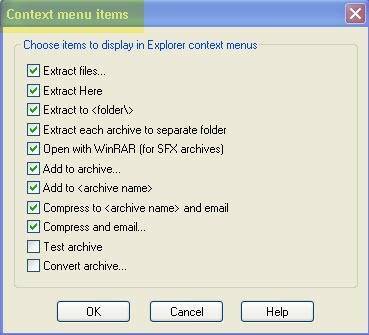 Upon installation, click on save. Once saved you could see the monitored installation under “Traced Program” tab of the Revo interface. TIP: You could use Real-Time Installation Monitor for installing the trial software’s. The Multi-Level Backup System ensures that if some changes are made to the system by mistake, they could be undone. This is an interesting feature in Revo- the cruel Hunter. see-03. This is yet another junk files cleaner. I didn’t notice anything special in this feature. This could be temporary files which are used during installations .tmp, etc. You could configure the Junk Files Cleaner options. As per the developer this feature gives fast, one-click access to more than ten Windows utilities used in daily PC management. Available tools are: System Restore, Network Information, Security Center, System Properties, System Information, TCP/IP Netstat Command, On-Screen Keyboard, Disk Defragmenter, Services, Shared Folders, Group Policy, Add/Remove Windows Components, Microsoft Windows Malicious Software Removal tool. This feature lists all the things that start at Windows startup. You could then enable or disable from auto starting at Windows startup, if you want to do. It gives detailed information such as the programâ€™s publisher, description, launch path (where it is saved on your computer), status of the application (if itâ€™s running or not). It is like any other browser cleaner. Nothing special to say about this feature. It supports Mozilla Firefox, Internet Explorer, Google Chrome, Netscape and Opera. 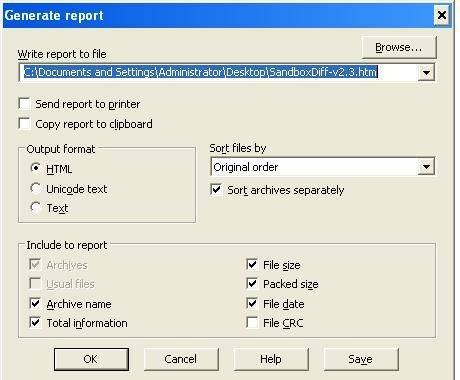 This allows deleting the history of most recently used files in MS Word, Excel, Access, PowerPoint and Front Page. It supports MS Office-2000, 2003, 2007 and 2010. This is used to do a complete removal of Windows Recycle Bin data, making it impossible to recover the deleted data. I found this same as Evidence Remover, as it functions the similar way. Â There is no single select option for Browser cleaning. You have to select each checkbox individually. Confusion between Evidence Remover & Unrecoverable Delete features. Cannot be activated without an internet connection. Does not checks whether I have a browser installer or not, rather just tries to clean the same. Example I don’t have Chrome & Netscape installer, but it went ahead and cleaned them! No support for Microsoft Publisher, Info path and OneNote cleaning options. Thanks to Revo Group, we are giving away 30 license keys of Revo Uninstaller Pro to readers of Avinashtech. Just follow the simple rules below to enter in this draw. Excellent review.Â Revo Pro is a must have. Count me in. I absolutely need revo uninstaller, I am a big time power downloader of software. i try everything i find, sometimes things get left behind when uninstalling, I know Revo will fix that. Thank you very much for this excellent giveaway. Revo is the best in his field. I would love to win a Pro license. Please count me in. Thanks in advance. Cheers. HELP! HELP! HELP! What’s happening? who is crying? who needs a helping hand? ” it’s me!” someone answered . Truly saying I was somewhat confused and scared, because I thought that nobody was in my room. “Who are you?” I asked. ” I am your Windows, and I need help, please, help me!” Very strange fairy-tale , I am sure , everybody say these words. But I think nothing strange is in this. Everybody likes and, of course, needs to install many new programs. But after using them , everybody needs to uninstall them. And it is a very difficult thing, because after uninstallation many junk and unneeded files leave themselves in Windows registry. Poor windows! It has not got a tongue, and it can’t say it. But its actions are clearly visible. The system is getting more and more slow! And Windows needs your help. But how can we help it. I think, you know , my answer will be very simple- Good uninstallation program. Revo Uninstaller Pro is really a great program for this operation. It uninstalls unneeded programs very well. Nothing is left after using Revo. 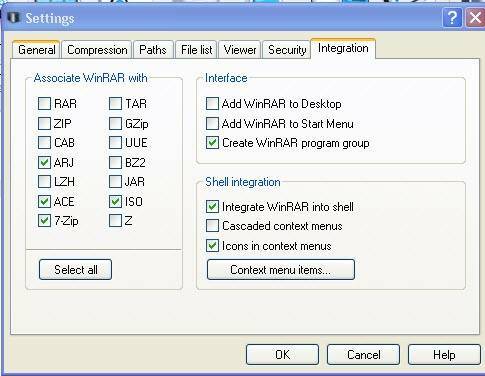 It has many unique features which a real help for windows, because its registry is clean and therefore happy. Of course, Every user is happy too.Thanks, GRR for the review!!!! Very good review. Thanks. REVO is the best of the best. For many years I using the free version of this great software. Why I need a commercial version?. The reason is simple and is called: Real – Time Installation Monitor.Â Thanks for the giveaway. Revo Uninstaller is the best application to dump the registry result of uninstalled programs that are not needed anymore.Please count me in, thanks. I need this program remove stubborn programs that leaves traces of their installation in my system making it slow after every uninstall.Thanks for the giveaway.Please count me in. Revo Uninstaller Pro is the best program to uninstall the software. Revo Uninstaller Pro provides full control over the applications that are installed. Thanks for the giveaway. Would love to win the Pro version. Thanks for the opportunity of winning this great application. It’s a must for anyone used to try lot of software in regular basis. Nice review grr and an excellent software product everyone should have. GoodÂ reviewÂ GRR and thanks for the giveaway. Count me in. A great gift. I use the Pro version on one PC and it works great. The program takes a fingerprint of your hardware, so you can’t use it on another machine. I hope I win a license. I am impressed by the free version of Revo Uninstaller. I would like to add the capabilities of the pro version to my software list. Thank you for the review and chance to win. My need isÂ probablyÂ similarÂ to other – I want to keep my computer clean and most of programs seems leave loads of leftovers. Thanks for the giveaway! The best uninstall program. Thanks. Hi, thanks for this great giveaways, please include me. I need Revo Uninstaller Pro to keep my PC clean everytime I remove software from my PC. Revo Uninstaller Pro is the bestÂ softwareÂ to remove any leftovers of programs afterÂ uninstall, incomplete installations and uninstall remnants of programs. It monitorsÂ whole installation of softwares so that we can see all changesÂ made toÂ the system and is extremely easy to use. Also it provides a Backup System to ensure full recovery ofÂ changes madeÂ if they are done by mistake. Please count me in this Giveaway and many thanks to Avinash and Avinashtech.com for organizing such a Special Christmas Giveaway Event ! Hi, i need it for the 64bit support, and because its the best uninstaller. Thanks for the giveaway. So please count me in. Thanks for the Revo Pro giveaway. I would loveÂ to winÂ aÂ licenseÂ RevoÂ UninstallerÂ Pro,Â because sometimesÂ I take advantage ofpromotionsÂ like thisÂ to test the abilityÂ of the softwareÂ offeredÂ in questionÂ and thenÂ shortly thereafterÂ recommend themÂ to my friendsÂ in myÂ social networks. WhenÂ I’m notÂ satisfied with the programÂ of promotionÂ in place,Â I uninstallÂ and certainlyÂ there is alwaysÂ some remnantÂ of itÂ installed on myÂ PC. RevoÂ UninstallerÂ Pro willÂ surelyÂ help meÂ in this task andÂ this wayÂ you will win onÂ my PCdevelopment. Congratulations on yourÂ promotionÂ Avinashtech! Revo Uninstaller Professional programs uninstall completely from your PC. Avinash thanks for yet another giveaway. Revo uninstaller pro is a great software, I’d love to get a license for my laptop; the pro version is way better than the free one. Hope I win aÂ license for this excellent software. Trying to win one license of this software whenever a giveaway is announced for this. Revo uninstaller is a great software to do a clean uninstall – i have been using the free version for the last 4-5 years and found it to be very useful indeed. A proffessional version of the same trusted software will be a nice addition. Highly wanted! Ok, I want to enter this giveaway. count me in. Awesome this is a great piece of software. I would like to have it to uninstall my stuffed crapware installed on my system. It is easy to use and I am just too lazy to uninstall theÂ applicationÂ manually and the Window uninstaller does not uninstall program fully. Great giveaway please count me in!Â AndÂ the review is too. Well done! Best review & Thanks for the giveaways. So please count me in the draw. Revo Uninstaller is an excellent uninstaller program. Thanks Revo Group and Avinash for the great giveaway! znakomity soft do odinstalowywania niechcianych programÃ³w oraz plikÃ³w. Thanks for the Revo Uninstaller Pro review & giveaway. thank you for very good review, nice giveaway and for the chance! Hi, I too have been a user of the free version for several years and have always been impressed by it’s ability to hunt down leftover remnants of messy installations and incomplete uninstallations. I particularly like the Pro feature of realtime monitoring of installations, as this really cuts out blindspots that can occur when uninstalling retrospectively using the free version. Please count me in for a Pro version licence! The very best uninstall software is finally giveaway by Avinashtech.com whichÂ all pc users love to own and use it and even cannot work without it. Your can uninstall any software either by Normal Mode or Forced Mode and you can even drag itÂ to Hunter icon for removal through Hunter Mode. You don’t have to worry misdelete any software sinceÂ backups of removed registry keys, values, files and folders is provided and you can easily restore your data back. Please count me in this giveaway and thanks to Avinash for organizing this special Christmas Giveaway! thanks for the chance of trying the pro. revo uninstaller is the best uninstaller. i like real time installation monitor which records installation log so when uninstallation require sofware will be completly removed. count me in. thanks. Free version is very good and pro version (like this review tell is great).Last year I wasn’t lucky with this giweaway but this year…maybe.Windows uninstall is for nothing.Sorry MS.
Now however I need a 64bit version thats why I would love to have Pro. Undoubtedly the best software removal avaikable – this is a must have for every PC Toolbox. Please count me in & sincere thanks to bth Â Revo & Avinash for the opportunity. Great giveaway. thank you Avinash for this wonderful offer. Revo uninstaller pro is one of the best unistaller. Now they added many other features to itÂ to speed up your pc. Plese count me on . again thank u for this great giveaway. Hi, please include me in your giveaway. Thanks a lot!! please enter me for the revoinstaller. i love it and have been using the free version for a while. please enter me for the revounistaller. i like it a lot and have used for a while. Please count me in Dear Admin. Thanks for providing this Giveaway. I really like using Revo Uninstaller, for me it is the best & legendary Uninstaller ever that cannot be beat by any other similar offers. Hope to win this Giveaway!THX, LJBU! i would like to enter for the revo but do not want to leave my yahoo or other personal accounts wide open to anyone, period. your site keeps pushing me make public my personal account information. is that the only option? i like your site and would gladly browse and consider the offers. but, i am not going to hand over my personal information, not to anyone. This indeed the best uninstaller. I use it for past 3 years.I wish to try the pro version. Thank you for the giveaway! Often I test a lot of software andÂ sometimes I’m having problems with uninstalling.Â With Revo Uninstaller my PC should be clearer. Please count me in… It is the best uninstaller !! There were many giveaway with this program, all I have attended, but did not win a license. so here is the principle more, though, and the program needs and physically I felt that the victory will be for me. .. Thanks for chance. Thanks a lot Avinash and VS Revo Group for the giveaway.Revo UI Pro is really a handy app for removing all the unwanted programs. Great giveaway. Hope to get this. Great giveaway. I am using its free version since long time. Pro version will be a great one. I need Revo Uninstaller Pro primarily because of the Installation Monitor feature and I also like the Forced Uninstall feature. I do a lot of installations/uninstallations and Revo Pro Monitor will be of immense help. Great giveaway,,Best software..please count me in. As I install a lot of software, I wish to discover the extra features offered by the Pro version. Thank you for counting me among the participants. Thanks for the giveaway..Inlcude me.. Well..I want Revo as a replacement for my Smarty uninstaller..It’s going to expire soon..
Great giveaway are attracting 100+ people..I’m in. another nice giveaway. I think this is must have software and everyone should have this software. Please count me in for this as well. I’ve been using the free version. would love to win the pro version and use all the extra features. Thanks for giveaway, best uninstaller tool! Please count me in. Would appreciate a good cleanup tool. me in your giveaway. Thanks and regards. I’m using the free version, which is good, but I would very much like to use the pro version. Revo Uninstaller Pro is very safe (registry and files backups ) has a nice, functional interface and many additional features for cleaning the system fromÂ unnecessary files and directories.Excellent force function andÂ the installation monitoring -because I want him to have program in the pro version! Thanks for the great giveaway and greet. I’m mostly interested in the installation monitor and the uninstall feature for 64 bits software, since I’m now using Windows 7 64 bits. Thank you for giving me a chance to win that software, Avinashtech and Revo Group. I need this program for good clean un-installs! Please count me in. Very nice detailed review, count me in too plz. Awesome!! I’m using the free version of Revo Uninstaller, but I love to have the Pro version. Thankz alot!! I need Revo key, because I use this program for very long and find very helpful. I would like to have it since it has much more features than the usual version, which I have it installed now. Thanks Grr for review and giveaway. Please count me in. I don’t like facebook, and following you already on twitter. One of my favorite softwares. Count me in please. I’d love get this license for this software, because this great software for uninstalling a program. without leftover unused key or files. effective and powerful. Thanks for review Avinash. Please count me in. Revo is showing best result in a software industry. Thanks, Please count me in the draw! I’d like a chance to win this. RevoUninsaller is the best unistaller because it removes traces that other uninstallers leave behind.Â i would like it! Thanks count me in please. Thanks alot for review and for giveaway. which it will be useful when something goes wrong. I wish I could get a license. Revo Uninstaller is one of my favorite utilitie. Nice review, Please count me in the draw! Revo Uninstaller Pro is an extended edition of the tools designed to remove unwanted programs installed on your system. What distinguishes Revo Uninstaller Pro from the built-in “Add / Remove Programs” offered in Windows, it is primarily speed and a few extra tools supporting the application uninstall. Among them you will find the Auto-Start manager system, the function of removing unnecessary files left behind after installation programs, cleaning the browser history, Office and irreversible option to delete files and folders. Another interesting option offered by Revo Uninstaller Pro is called. hunter mode by which the application is able to recognize itself, when you point to the icon of a program, how to uninstall it. The Pro version offers additional backup feature of their operations and systems support 64-bit. Thanks for this great offer!! Thanks for nice suprise. Revo Uninstaler is ultimate edition for uninstalling program. ThankYou for the Giveaway. Please count me in. It is very useful piece of software. I really want to have full version. I know that Revo Uninstaller Pro is the best on the market to fully uninstall programs. An unequaled model for other manufacturers. It is rich in features and options. Count me in, please. THX. Oh, please count me in too! Great contest! Please count me in for this giveaway. Its a great software and must have for every pc,so I would like to put my name for this draw. Thanks for the opportunity, please count me in. I would like to have this software on my PC. Its really bad when you uninstall something in your PC wherein there are still lots of leftover in your PC. It would really be good to have this software. Hope to win one…. I’m always wanting to have Revo in my PC. When you have a computer you should have uninstaller like this one. Hope to grab one of the licenses…. It should be a standard to have software like this in your PC. In order to have a clean uninstallation in your PC, you should own aÂ Revo Uninstaller Pro. Let me win one of the licenses, please…. I use the free version of this great software. The full version has more great modules and because I want the license. Many thanks for the giveaway. I’ve used the free version of Revo Uninstaller for a while now, and i’ve enjoyed using it, but the pro version is incredible. I used a trial of it a while back, and it got rid of alot of annoying programs perfectly. It’s one of the best programs i’ve ever used and I’d love to own a licence. Please count me in the contest. this is a very underestimated tool in keeping one’s system running smoothly. I ‘d like a registered version! Count me in for the contest.